Oral cancer is responsible for the death of approximately 8,000 men and women in America every year. Though there is no cure for this aggressive disease, early detection and treatment play vital roles in survival statistics. At Complete Cosmetic Care Dentistry in Sapulpa, OK, Dr. Dalia Georgy and Dr. Parnam Mohanna offer a variety of general dentistry treatments and procedures aimed at keeping your mouth healthy; oral cancer screening is one of them. Because many of these symptoms may indicate an issue other than oral cancer, it is vital that you have any unusual symptom assessed by our doctors. We will always take the time to explain to you anything that we may find during your screening, as well as the next steps in your treatment process. Has it been more than six months since your last visit to the dental office of Dr. Mohanna and Dr. Georgy for a checkup? If so, please contact our practice today to schedule your next appointment. At Complete Cosmetic Care Dentistry in Sapulpa, OK, we happily welcome patients from throughout the surrounding areas of Mounds, Bixby, Glenpool, Keifer, Okmulgee, Tulsa, Jenks, and beyond. 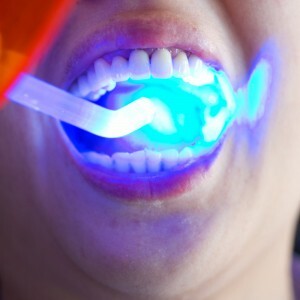 We can’t wait to show you what a difference our commitment to your oral health and overall wellness can make for you.